We met with Felix Slavin, one half of Music Broth, Govanhill’s brand-new instrument-lending library, who told us about their new social enterprise operating from Unit 7 in Victoria Court. Felix is surrounded by instruments; there are a large number of guitars, although the library has other instruments too, including a djembe, pianos and even a trombone. Music Broth was founded in 2017. The idea was conceived as a way to make use of a number of musical instruments Felix had inherited from his late uncle. The aim of the project is to improve access to musical instruments, which are often expensive, to ensure that the widest possible range of people can enjoy the pleasure of making music. 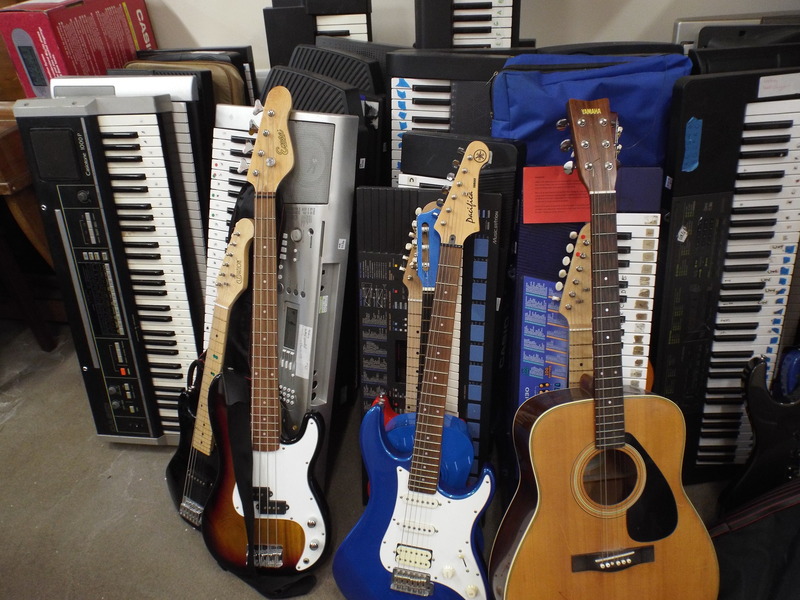 In June 2018 Music Broth secured space at the Victoria Court Workspaces large enough to safely store their many instruments. Memberships are open to organisations and individuals. 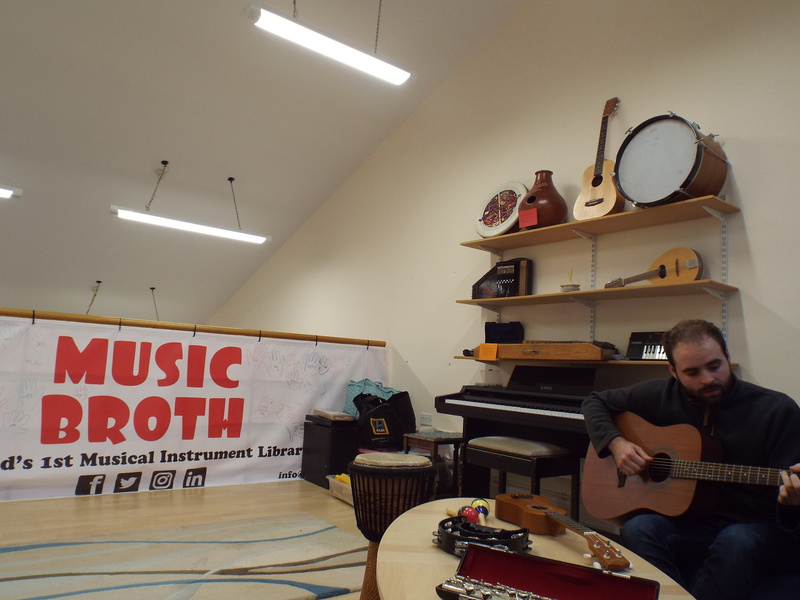 If you wish to find out more information or join the lending library, you can contact Music Broth at info@musicbroth.org or through social media on Facebook @MusicbrothGlasgow or Twitter @musicbroth. If you have an instrument at home which is gathering dust and would make a useful addition to the library, Music Broth are also interested in hearing from you. Music Broth rent space from the Govanhill Community Development Trust. If you are interested in renting one of these work spaces, please contact Dave Zabiega at Dzabiega[@]govanhillha.org.